Unlimited web hosting features such as unlimited web space, bandwidth, databases and more provide the infrastructure for our customers to build their website without worrying about hitting any limits and focus on making their website a success. Bandwidth is the measure of information going both to and from your hosting account with us. It includes all file transfers both incoming and outgoing, all emails to and from the email server and every other form of traffic to and from the account. With the exception of the Gold or Business Professional account, which comes with unlimited bandwidth, all other accounts have more than others monthly bandwidth allocation, as listed on our website at Price Range. Customers can always check how much bandwidth they have used so far in the current month via their eXtend Control Panel, where it will always be displayed above the FTP login details. Once the bandwidth allocation has been exceeded for that month, the account will be deactivated for the remainder of the month, unless you then upgrade your hosting account in the interim. Details of all our hosting packages are available on our website at Price Range should you wish to consider upgrading. Accounts deactivated for exceeding their bandwidth are automatically reactivated on the 1st of the following month. All our hosting accounts come with a variety of different templates, scripts and free software supplied as part of the account. All of those are available via the various options inside your eXtend Control Panel. For each option, you will also find on-screen instructions on how to use each of those. There are so many different options that it is impossible to go through each one here, but aside from the details on screen, you will also find more detailed documentation available inside the directory you have chosen to install that feature into. Web development is a broad term used to describe a wide range of services. At Compnix we are able to cater for everything from advanced intranet applications to eCommerce solutions to simple HTML & CSS projects. We even have a Web Checker that you can use. Search Engine Optimisation is VERYÂ IMPORTANT and generally a service that involves a lot of financial input, it also has a lot of risk in understanding search robots. What does SEO really do? - Search Engine Optimisation (SEO) is the process by which websites are â€˜tunedâ€™ to make them rank higher in natural search engine results listings. An effective SEO strategy starts with the thorough research and analysis of a website, its market and its competition. Using the data generated by the research, targeted changes are made to the websiteâ€™s content and meta-data, and a network of high quality inbound links (also called backlinks or external links) is established. Following the content optimisation and link building processes, the effectiveness of the websiteâ€™s SEO strategy is monitored on a rolling basis through the use of website analytics software, such as Google Analytics. The data revealed by the web analytics then dictates the future direction of the SEO strategy, with further content optimisation and link building conducted as and when necessary. For those reasons we have added a website submission program to the top 10 Search Engines like Google etc..
To use your account with us you will need a domain name. 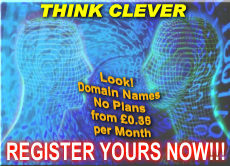 It is a simple matter and new Domain Names can be ordered from here and once you have signed up, via your control panel at any time if you do not already have one, or you can use the Transfer a Domain function to bring any existing domain you might have elsewhere into your account with us. On-screen instructions will guide you through the transfer procedure every step of the way. .uk transfers can only succeed if the IPSTAG for the domain has been changed to our domain name server first. The previous host or registry can make that change for you if required. Activity Holidays Greece, Surrey Rest Homes, Minardi Boutique Italy, Western Greek Government, Ogamos Cyprus, Fujitsu, Immediate Movies, Pinewood Studios, TNT, Lloyds and TSB Banks, Taste@55, GTO Oil Exploration Limited, Santi Sari Boutique Hotel, Assured Care Surrey, Millstone Water Features etc., to name but a few.